This beautiful North American native is recognized by many names including Motherwort, Queen of the Meadow, Joe Pye Weed and Gravel Root, but we know it botanically as Eutrochium purpureum syn. Eupatorium purpureum. Whichever name you call this plant, you probably know of Gravel Root’s ability to help all issues urinary, including kidney and bladder stones, bladder infections and cystitis. But Gravel Root doesn’t stop there, she’s also a wonderful herb for women, supporting pregnancy and toning the uterus as well as being great for digestives issues such as Crohn’s disease and various bone and joint issues as well. 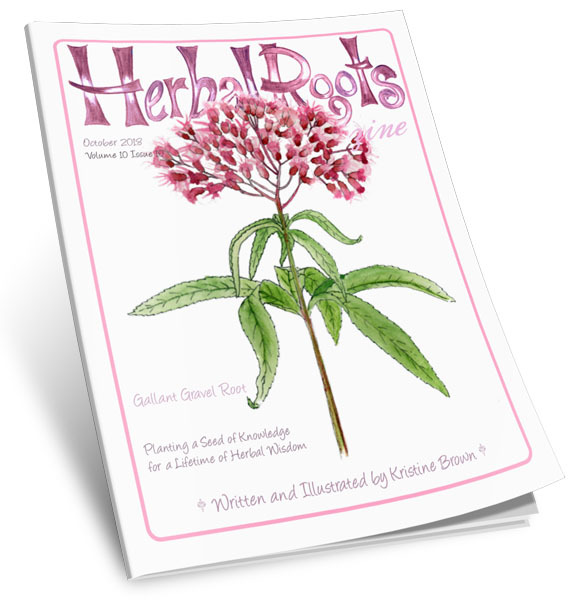 This issue takes a look at how we can use Gravel Root effectively, teaching kids all about the wonders of this herb through stories, songs, poems, crafts, recipes, games and more. Maze: Can you help the bee to find the Gravel Root?